Offer your guests a warm Southern welcome when you deliver news of your next local event with this hot Georgia Invitation. 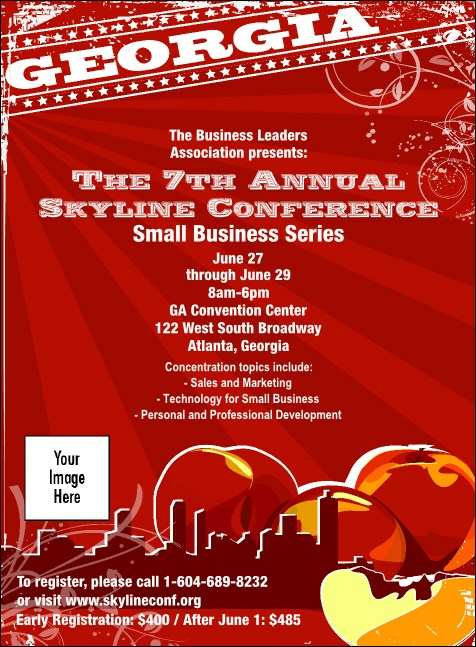 Printed with images of the Atlanta skyline and peaches drenched in a warm red color scheme, each invitation features space for one custom image upload. Keep it sweet in the Peach State and across the US with local Event Kits from TicketPrinting.com.